This story begins two summers ago when I was a brand new baby runner (and quite proud of my “long” 3 mile runs might I add!). 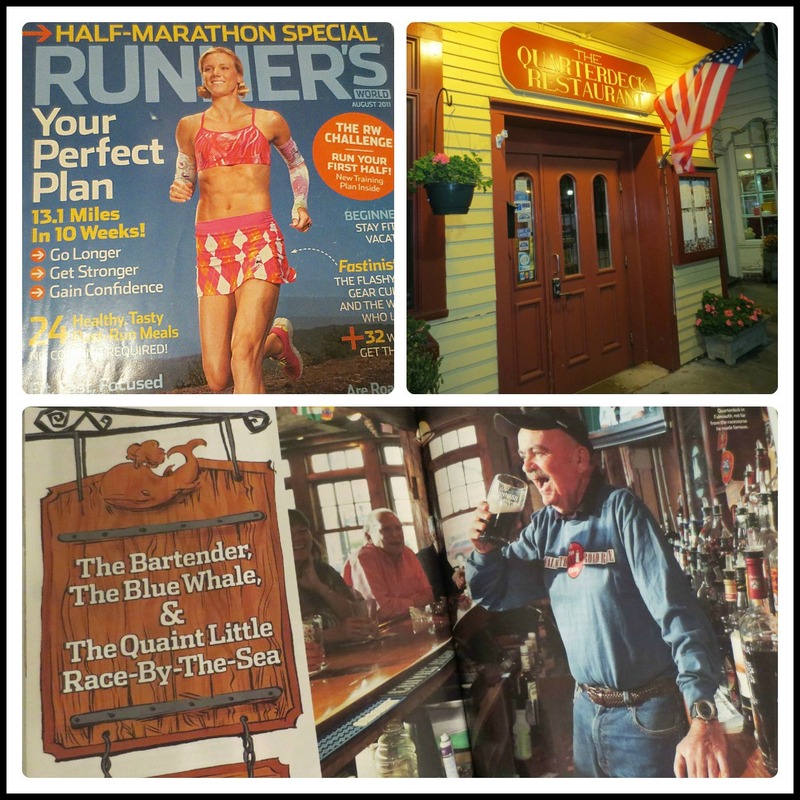 It was a few days before we were leaving for our summer trip to Cape Cod and I was browsing the magazines at a Barnes & Noble when I saw the latest issue of Runner’s World – across the top it said “Half Marathon Special”. Although I had yet to register, or even chose a race, I was secretly training for a half marathon that summer. I reached for the magazine, glancing around worried that someone was going to jump out and grab it from my hands yelling, “what do you think you’re doing?! You’re not a runner!”…but much to my surprise no one seemed to care. I casually flipped through (trying to act as natural as possible) with no real intention of actually purchasing the magazine (I mean I’m sure they ask for some sort of proof of race time before allowing you to buy it, right? 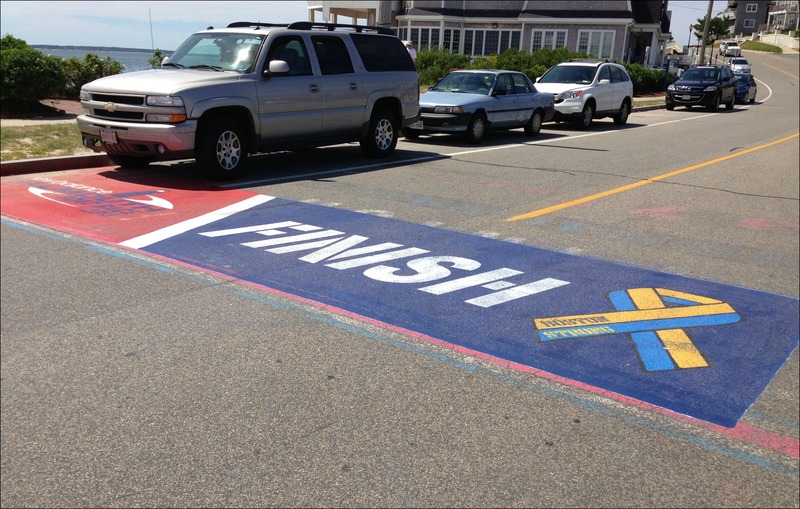 ), when I saw the featured article in that months issue was on Tommy Leonard, the founder of the Falmouth Road Race. Now I’m not much of a believer of signs, but between my secret half marathon desire and my Cape Cod obsession it was obvious this issue of Runner’s World had been put together especially for me. Keeping my eyes down I slid the money to the cashier and got the heck out of there before anyone could ask about my PR’s, splits or upcoming races and since that day the Falmouth Road Race has been at the top of my running bucket list. This Sunday I’ll (finally!) be lining up with 12,000 of my nearest and dearest (ok fine, I’ll really only know 1 other person there…) for the scenic 7 mile run along the Falmouth shoreline! There’s even a really cool course video tour on the event website! 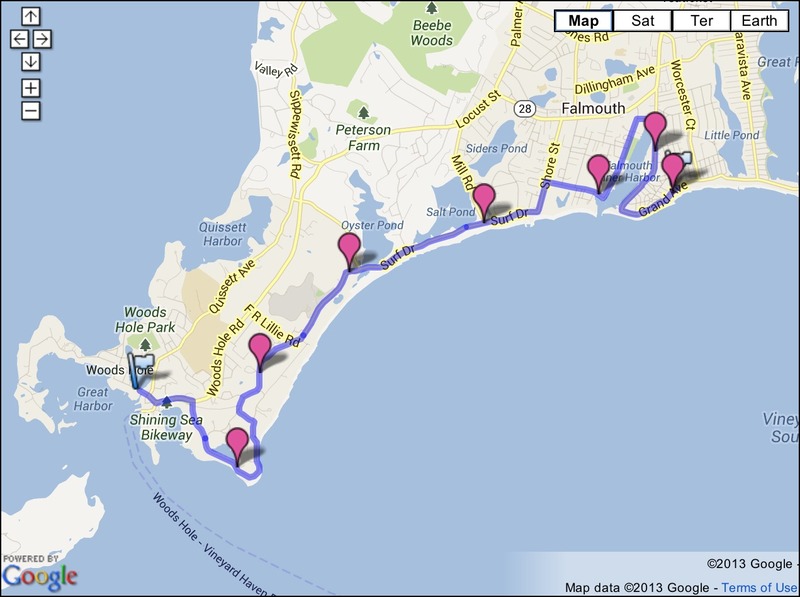 Being only 7 miles (because it was originally from a bar in Woods Hole to a bar in Falmouth Heights – Mr. Leonard liked his beer!) I won’t be reaching any new distance milestones or personal challenges with this race, but ever since picking up my first copy of Runner’s World 2 years ago this race has always meant something special to me and I can’t wait to cross that finish line on Sunday! Good luck!!!! I actually bought that magazine as well, and still have that copy, it was my first running magazine purchase too! That’s too funny that it was your first Runner’s World too! What are the chances?!? I can’t wait to hear all about this race. Both my sisters ran this race many years ago and this year my 19 year old niece is running! Have fun! That one always sounds like fun, and what scenery! Have fun! GREAT story. Good luck Sunday and have an awesome time! It’s the parking I’m worried about! I hear there really isn’t much and no matter what it doesn’t seem like there’s a good place to park that’s near the start shuttle and the finish! Good luck and if you happen to see me please come say hello! I read that article too. Made the race sound like so much fun. Looking forward to reading your recap! Hey Dani… I am so glad you are living your dream. My hat is off to you. That’s such a cool story! Totally missed this post the first time!